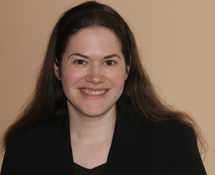 Rebecca Natow is an assistant professor of educational leadership and policy at Hofstra University and a research affiliate with the Community College Research Center. Her research focuses on the creation and implementation of policy and government programs affecting higher education. Specifically, she has conducted research and written about developmental education, performance-based funding policies, and the federal rulemaking process for postsecondary education. Natow earned her EdD in higher and postsecondary education in 2013 from Teachers College, Columbia University, where she also received her MA in 2006 and EdM in 2008. She also holds a JD from Georgetown University Law Center.